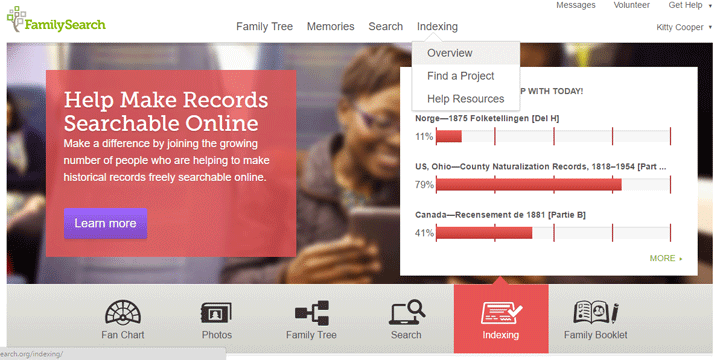 You have to download their indexing software to participate. I found the video at the bottom left of the start page called Quick Start Video most helpful. The instructions were clear that they did not want me to expand abbreviations, so Eng did not get fixed to England. I did however replace “do” which is how they did ditto back then, with the country name that was above (U.S.). I like that you can do this in small chunks. So you can stop and start whenever you have a bit of time. Most “batches” take less than an hour to complete. I have heard complaints from those with Macs that they could not get the downloaded programs to work, but it is fine on my PC. Here is why I am so grateful. When I first started doing genealogy, I wanted to find my german jewish roots. So I wandered into the LDS family history library in New York City and found that they had the microfilm of the Munich synagogue records on hand. 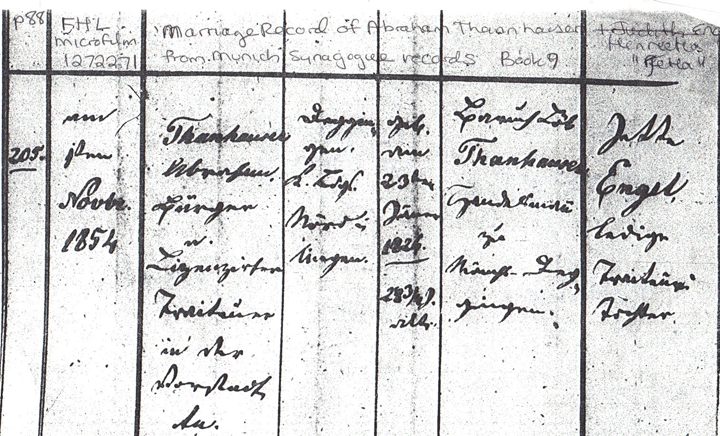 Within an hour I had found the record of my great-great-grandparents marriage (shown below) and many more family records. This is easy I thought. Hah, I had much to learn! I plan to put in a few hours helping this weekend. How about you?